ANNOUNCING! 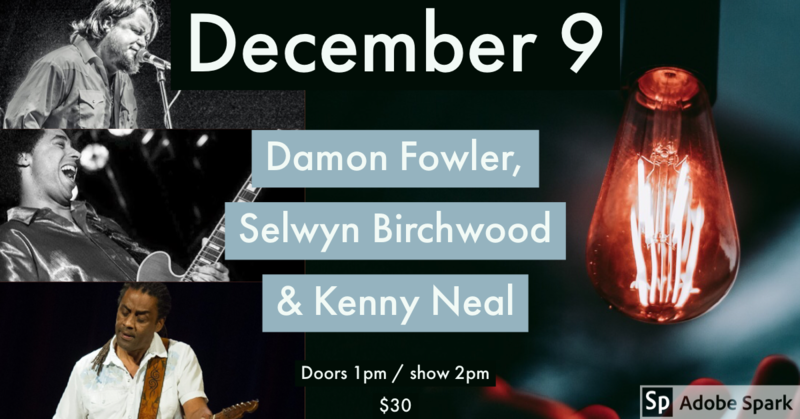 A MATINEE SHOW w/ Damon Fowler, Selwyn Birchwood, Kenny Neal at Hideaway Cafe! The evening show sold out quickly so we're reacting to demand.....a second matinee show has been booked! Get your tickets now! Doors open at 1. Show starts at 2. This early show will clear out at 4 to allow for doors at 5 for the originally scheduled show at 7.